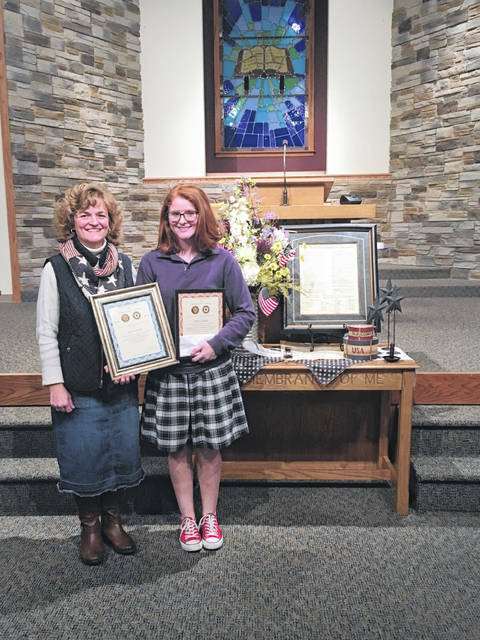 On Monday, Fayette County Christian School senior Jenna Sams was announced as the county’s highest scorer in the American Legion’s Americanism and Government Test program. Sams said government has always interested her and that she was “really excited” to learn that she had achieved the highest score. The Americanism and Government test is given to students in grades 10 through 12 each year. The test consists of 50 true/false, multiple choice, and fill-in-the-blank questions as well as one 300 word essay. 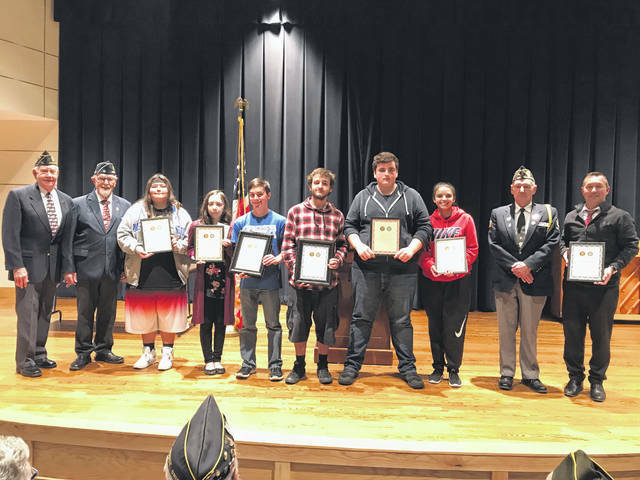 Topics covered by the test include: the United States flag, the Declaration of Independence, the United States Constitution, and state, county, city, township, village and school district government in Ohio. 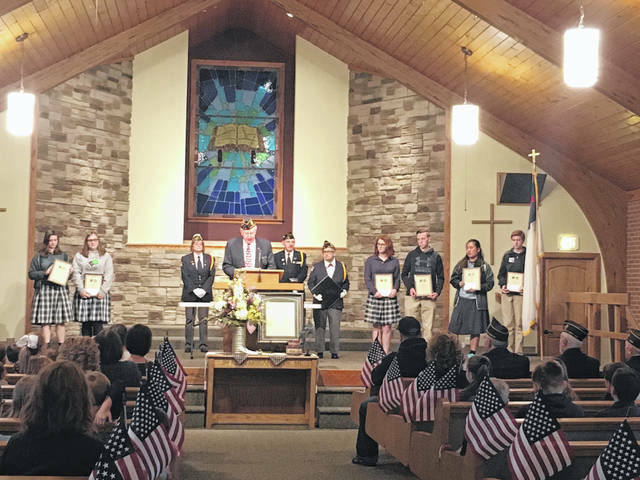 In addition to honoring Sams as the county-wide high-scorer, Fayette Christian recognized students who scored the best in their respective grades. 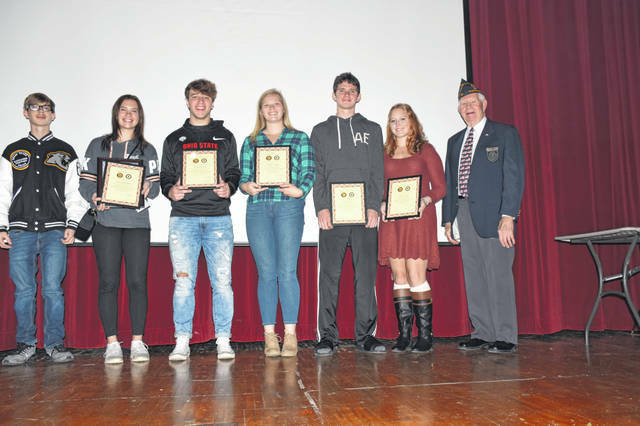 The seniors with the highest scores were Jenna Sams and Spencer Hanusik, the juniors were Grace Sheeter and Christopher Tooill, and the sophomores were Cherokee Lofino and Lilly Russi. Washington High School also recognized the highest scorers from each grade. The seniors were Connor Lane and Alexis Southward, the juniors were Brice Bullis and Morgan Rodriguez, and the sophomores were Ryan Barton and Issabella Harter. Connor Lane and Brice Bullis scored high enough to be named county winners. Miami Trace High School had three county winners: sophomores Titus Lehr and Siara Eggleton, and junior Haiven Pepper. The high scorers for each grade were also recognized. The seniors were Wyatt Cory and Jessica Camp, the juniors were Cole Enochs and Haiven Pepper, and the sophomores were Titus Lehr and Siara Eggleton.